Scottish actor and director known for his diverse film and television appearances including in over 100 different productions. He is best recognized for his roles as Pavel in the 2008 film The Boy in the Striped Pyjamas and as Malcolm in the 1986 film Sid and Nancy . He is also known for his recurring role as DCS Mike Walker in the TV drama Trial & Retribution. He studied at the Royal Scottish Academy of Music and Drama in Glasgow and started his career as an actor at the Citizens Theatre. His debut in television came in 1972 when he starred on the series Just Your Luck. 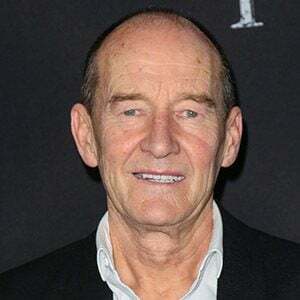 He made his directing debut in 1990 with the film Silent Scream. He is known for having won the OCIC Award at the 1990 Berlin International Film Festival for his work directing the film Silent Scream. He was born and raised in Bridgeton, Glasgow, Scotland and has three sons: David Jr., Sammy, and Sean. He worked with Helen Mirren and David Harewood on the 1993 feature film The Hawk.